Innovation activity depends on the allocation between productive activity and unproductive activity in entrepreneur (Baumol, 1990). This allocation is determined by what payoff available in society. One of the pay-offs determined by the income after tax derived from the innovative activity that received by the entrepreneur. Thus, the lousy tax policy that creates punitive taxation will undermine innovative activity (Mitchell, 2018). Nowadays Indonesian entrepreneur prefers to invest in another type of investment than invest in intellectual property. It is because being an investor in for example loan and stock derived higher after-tax payoff. It resulted from different treatment of withholding tax, because income derived from innovative activity is taxed at a higher rate. Thus, the marginal tax rate differences create disincentives for innovation (Aghion et al., 2016). Moreover, the provision in tax audit offers unbalance treatment for innovative activity, create higher uncertainty of audit result for the taxpayer (Caballé and Panadés, 2005). The reason is that the high withholding tax tariff will trigger overpayment position at the end of the fiscal year and leads to taxpayer’s restitution that is subject to tax audit. In contrast, income from stock investment is taxed at a flat and final rate, there will be no overpayment or audit consequences, and for income from a loan, investment has loopholes of not being taxed and audited. As a result, from 2017 until 2018, there were two issues happened in Indonesia. First, is the protest from creativity worker over the high rate taxation on royalty income, they are questioning about the disincentives for people to innovate. Second, the fast-growing number of the loan shark investors and the bad-debt that they created, one of the reason is that the poor regulation on the financial market outside the banking system. This event even made Indonesia Financial Service Authority (Otoritas Jasa Keuangan, OJK) to create regulation specifically to curb loan shark and the effects it created. The question is why this phenomenon happens? Why Indonesian less invest in innovative activity? This paper tries to explain from the perspective of a tax institution’s role in determining the rule of the game of individual taxpayer and shaping their innovative behaviour through the mechanism of tax incentives. This paper argues that strict taxation on innovation that includes high withholding tax rate and audit treatment reduces the level of innovation. This paper excludes the tax treatment on active income since it does not subject to differential withholding tax. This paper consists of several parts. Part 1 deals with the introduction of the problem and current condition in Indonesia. Part 2 provides evidence of innovation compare Indonesia’s tax regime on innovation with ASEAN countries. Part 3 explains about strict taxation and differential tax rate in Indonesia’s domestic tax regulation. Part 4 explains the theoretical model of allocation of innovative activity. Part 5 deals with an analytical framework to understand institutional change. Last but not least, part 6 explains the conclusion and suggestion. Between ASEAN Countries, Indonesia is considered left behind from other countries regarding intellectual property (“IP”) according to the data from the World Intellectual Property Organization (WIPO). The data shows that patent registration in Indonesia in 2016 is 1,154 patents, while Singapore has 6,722, Thailand has 1,601 and Malaysia 1,963. Indonesia position is only better than the Philippine and Vietnam which recorded 557 and 633 respectively. The right to derive income from the asset (Alston and Mueller, 2008) are one factor that determines the full set of property rights. The payoff from innovation is royalty. Several factors influence the payoff, first is the royalty rate that determined by the market mechanism and the value of intellectual property. Second is the withholding tax rate imposed in royalty income. This paper will focus on the second factor which is the withholding tax rate. 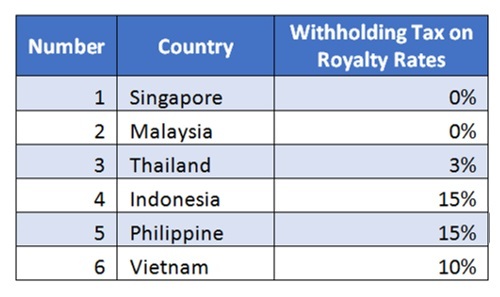 As a comparison, the table below shows the difference in withholding tax rate ASEAN countries. 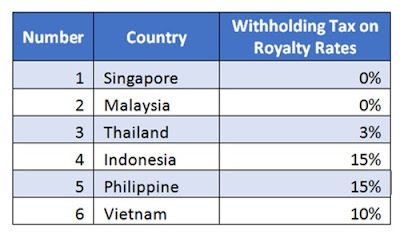 Singapore and Malaysia, the 2 (two) most innovative countries in ASEAN implement withholding tax rate on royalty 0%, while Thailand implements 3%. In contrast, Indonesia and Philippine have the highest royalty rate between that country which 15%. A particular case for Vietnam, which has 10% royalty rates, lower than Indonesia and Philippines, but the patent registered has lower in number. Considering the data from the table above, Singapore, Malaysia, and Thailand as the most productive countries in ASEAN in term of patent produced have one thing in common. They have low withholding tax rate on royalty income. The lower the tariff is, the higher the payoff received by the innovator. Since the first modernisation on Indonesia’s income tax regulation that took place in 1983 (Income Tax Act Number 7 of 1983), there were four amendments. The first amendment took place in 1991 by the enactment of Income Tax Act Number 7 of 1991. The Second amendment took place under Income Tax Regulation Number 10 1994. The Third amendment took place under Income Tax Regulation Number 17 2010. The last Amendment was under Income Tax Regulation Number 36 of 1994. In every amendment, each amendment has a specific aim which the goal is to inlining tax regulation with the economic and business condition. For example, the last amendment was to provide an equal level playing field in the banking industry. However, regarding taxation on royalty income, there was no change of the tax provision ever since the first Income Tax Act enacted. Under the withholding tax regime, passive income which consists of Dividend, Interest, and Royalty has a different rate and audit treatment. From entrepreneur perspective, the differential rate and audit treatment create a condition where one activity is more favourable than the others. From the table above, we can conclude that the royalty income is subject to two different tax treatments compared to the other passive income. First at the level of the transaction when the payment received, royalty income is subject to 15% withholding tax rate, resulted in higher effective tax rate compared to the others. In contrast, Dividend income only taxed at 10%, and interest income has the opportunity to avoid withholding tax by structuring the loan contracts. Second, related to audit treatment. The audit triggered at the end of the fiscal year when the taxpayer has to calculate personal income tax. The withholding tax rate on the royalty income will trigger tax audit since personal income tax rate layer are lower than withholding tax, resulted in overpayment position that subjects to tax audit. The uncertainty of the probability of being audited reduce expected payoff of the taxpayer (Snow and Warren, 2007). While, interest income and dividend income do create overpayment position. Dividend income is considered low tax risk, since the application of final and flat tax rate. However, the interest and royalty income is subject to general taxation at the end of the fiscal year. Existing regulation state that interest income is exempted from withholding tax if received from the individual borrower, this explains why more people are becoming loan investor. But, the enforcement in the financial sector is not strict and too many loopholes that lead to taxpayer rent-seeking behaviour. To understand how royalty tax influences innovation activity, we should examine how interaction between royalty tax and other investment tax. Using an investment allocation model used by Blonigen (Blonigen and Piger, 2014), we consider an investor who has two option of investment. With taxes rate as consideration, the investor will equalize income after tax. Hence, the amount of R is determined and depended on (1 - t)r = (1 - t*)r*. t denotes the effective tax rates of other investment and t* denotes tax in innovation activity. Hence, the optimal allocation of innovation, R, depends on the differential tax rates imposed on the types of investment. Institution is the rule of the game that devised by human to shapes human interaction (North, 1994). Institution will create incentives in the form of political, social and economic incentives. The significant role of institution for the society is to lower the uncertainty and establish stability in human interaction, although the stability that institution does not necessarily mean efficiency. Nevertheless, together with other factors such as stock of knowledge and demographic, institution determine the economic growth of the nations. The critical role that institution takes place is through the enactment of laws, regulations, conventions, norms, contracts, and so forth. 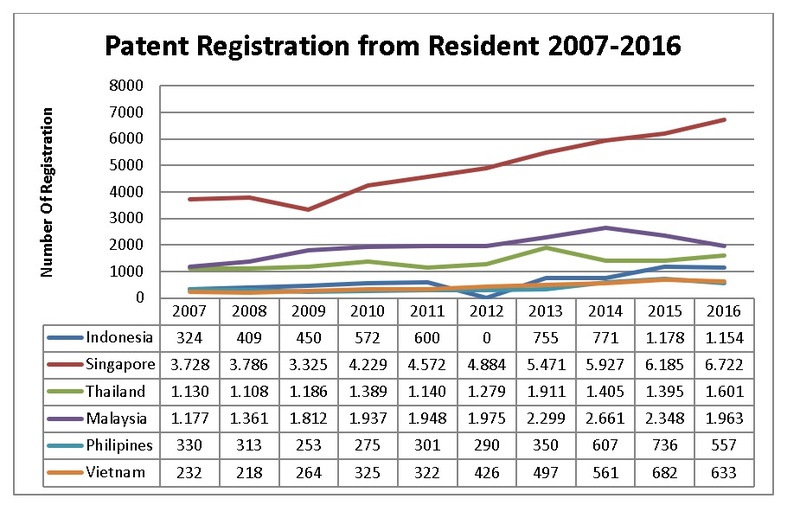 Those instruments are continuously altering the choice available in the society (Greif, 2006). By providing incentives and constraints in the choices available, the society behaviour will react to incentives and avoid disincentives. Through organization, an economic agent in society interacts with set or rules enacted by the institution to respond to the incentives, and in the long run, will result in institutional change. One of regulation that shapes the incentives is tax regulation which set the rule of the payoff of innovative activity. In Indonesia, when innovator invents or innovates something, they should register the IP to Directorate General of Intellectual Property Rights (DGIP) of Indonesia. After that, it depends on the inventor whether they want to exploit it themselves commercially, or to license it to other party and generate royalty income. Royalty income is subject to tax are under Indonesia’s income taxation regulation. The taxation treatment to royalty income is the determining factor for taxpayer’s incentives to innovate. Since tax also reduce the profit, as consequences for alterations from informal to formal form of property rights (Alston and Mueller, 2008).  From the picture above, the tax institution mainly focuses on two aspects. First is the determination of the withholding tax rate, second is about the tax audit consequences. Those two instruments determine the incentives scheme in Indonesia’s tax environment. On the other hand, a collective agent that consists of taxpayers establishes organization to react to those set of rules and interact with those rules in the market. In the long run, the tax rules determine the direction of institutional changes. This institutional change depends on the taxation act (high-level regulation) and on how the taxpayer responds to the incentives of the rules (Kingston and Caballero, 2009). The willingness and capacity to conduct innovative activities although the indeterminate forthcoming is mostly reliant on the setting that created by the institutional framework (North, 1992). Therefore, Government through public policy has a vital role in providing certainties and predictability by establishing formal rules (for example tax rule) to enable the learning development and to encourage creative capacity of the entrepreneur (Song and Simpson, 2018). Mitchel observed that one percentage point increase in individual tax, decrease the likelihood of innovation (patenting) by 0.63 percentage point in the next three years (Mitchell, 2018). He also argues that one percentage point increase in tax leads to a decrease in patent registration by 1.1% and decrease the number of citation (research paper) by 1.4%-1.7%. He also points out that tax should be as low as possible to nurture innovation. 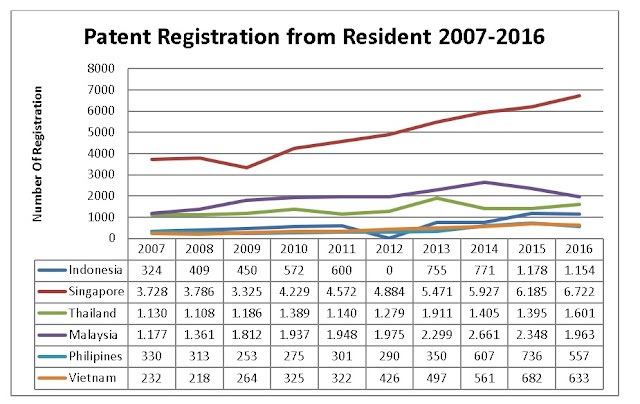 Clemens also finds that the amount of taxes will influence the quality and the location of innovation (Clemens, 2008). He finds out that tax has intensive and extensive decision to influence the mobility of inventor and their decision on location. Given the existing tax rules in Indonesia creating an unfavourable environment for innovation, as a result, reducing incentives to innovate and influence taxpayer to choose another kind of investment than intellectual property, affecting long-term growth since incentives to acquire innovation (essential factor for economic growth) was distorted by monetary rewards of tax system (North, 1994). Hence, the high tax rate hurts innovative output, while tax decreases have a positive impact on innovation (Atanassov and Liu, 2014). Furthermore, taxes have significant adverse effects on the quantity and quality of innovation (Akcigit et al., 2018). This paper develops a simple theoretical framework to determine the direction of institutional change in entrepreneur innovation as a response to strict taxation on innovation. In addition to that, the framework is useful to explain the loan-shark phenomenon and lower innovation in Indonesia. From the taxpayer perspective, Let R is royalty income, A denotes audit risk resulted from overpayment. I is the income from other investment other than innovation. X denotes the incentives of not being audited and taxed at a lower level, r denotes rent-seeking activity to exploit loopholes in financial and tax regulation, where k denotes knowledge from innovation. From the tax institution perspective, PIT denotes tax revenue from personal income tax rate, where WHT denotes tax revenue from withholding tax rate. TA denotes tax revenues from the audit process, IP denotes Intellectual property resulted from innovative activity. Assume that R = I, r < k, and IP > (TA + PIT + WHT). The ideal condition is that when government impose loose taxation in innovation and receive payoff on PIT + IP, and taxpayer receive full R and incentive X and knowledge k. However, what happens now is that strict taxation in innovation resulted in not invest in innovation in Nash equilibrium. Government payoff is only personal income tax PIT, and taxpayer payoff is income from other investment than innovation I (interest) and incentives of not being audited X, and r rent-seeking of loan-shark from exploiting loopholes in tax and financial regulation. This equilibrium explained the phenomenon on what happened in Indonesia right now. Indeed strict taxation derives maximum payoff for tax revenue. However, the government mistake is solely too much focus on tax revenue rather than accumulation in intellectual property. If the institution rewards innovative activities, then taxpayer engage more in innovation (North, 1994). However, tax institution in Indonesia does not provide enough incentives for innovation. Thus the set of rules that influence critical changes in the economy through the allocation of entrepreneurial resources (Baumol, 1990). In Indonesia, the symptoms are apparent, lower innovation, and high rent seeking through financial market become the direction of institutional change. Indonesia’s Tax institution should change by providing balanced incentives to kick-start the innovation. Since nowadays, the capacity and willingness to conduct innovation are hampered by the institutional framework (North, 1992), primarily tax institution. Economic growth should be the focus rather than tax revenues, Indonesia should avoid an environment where designed by a destructive ruler which objective is only to maximise tax revenue, rather than economic growth (North, 1981). Since innovation has a significant role as an engine of economic growth (Acemoglu, 2015), the environment should encourage creative activity and innovation in any field to direct economic growth. Since the speed of economic growth depends on the speed of learning, however the direction of the growth depends on the expected payoffs in acquiring different kinds of knowledge (North, 1994). That is why incentives structures need to be modified. Maybe some people say that the tax regulation does not have to adjust to the economic change, but the trigger of changes should come from the need of the society. Thus, considering what happens in Indonesia now, it is crucial that tax regulation should change. Acemoglu, D. (2015) ‘Why nations fail?’, Pakistan Development Review. doi: 10.3935/rsp.v21i3.1238. Aghion, P. et al. (2016) ‘Taxation, Corruption , and Growth Taxation , Corruption , and Growth’, Harvard Business Shool. Akcigit, U. et al. (2018) ‘Taxation and Innovation in the 20Th Century’. Alston, L. J. and Mueller, B. (2008) ‘Property Rights and the State’, Handbook of New Institutional Economics, pp. 573–590. doi: 10.1007/978-3-540-69305-5_23. Atanassov, J. and Liu, X. (2014) ‘Corporate Income Taxes , Tax Avoidance and Innovation’, Working Paper. Baumol, W. J. (1990) ‘Entrereneurship: Productive, Unproductive, and Destructive’, Journal of Political Economics, 98(5), pp. 893–921. Blonigen, B. A. and Piger, J. (2014) ‘Determinants of foreign direct investment’, Canadian Journal of Economics. doi: 10.1111/caje.12091. Caballé, J. and Panadés, J. (2005) ‘Cost uncertainty and taxpayer compliance’, International Tax and Public Finance, 12(3), pp. 239–263. doi: 10.1007/s10797-005-0490-z. Clemens, J. (2008) ‘The Impact and Cost of Taxation in Canada: The Case for Flat Tax Reform’, Fraser Institute Vancouver, p. 208. Available at: http://books.google.com/books?id=QBdfxA8jTvkC. Dartanto, T. (2010) ‘The relationship between corruption and public investment at the municipalities’ level in Indonesia’, China-USA Bussiness Review, 9(8). Greif, A. (2006) ‘Instutions and the Path to the Modern Economy: Lessons from Medieval Trade’, Cambridge University Press, pp. 379–405. Kingston, C. and Caballero, G. (2009) ‘Comparing theories of institutional change’, Journal of Institutional Economics, 5(02), p. 151. doi: 10.1017/S1744137409001283. Mitchell, D. J. (2018) ‘High Tax Rates Hurt Innovation and Prosperity , New Data Suggest’, pp. 1–10. North, D. C. (1981) ‘Structure and Change in Economic History’, New York: W.W. Norton & Co., 87(1), pp. 131–159. North, D. C. (1992) Transaction Cost, Institutions, and Economic Growth, International Center For Economic Growth. doi: 10.1111/j.1465-7295.1987.tb00750.x. North, D. C. (1994) ‘Economic Performance Through Time’, The American Economic Review, 84(3), pp. 359–368. Snow, A. and Warren, R. S. (2007) Audit uncertainty, bayesian updating, and tax evasion, Public Finance Review. doi: 10.1177/1091142107299609. Song, L. and Simpson, C. (2018) ‘Linking “adaptive efficiency” with the basic market functions: A new analytical perspective for institution and policy analysis’, Asia & the Pacific Policy Studies, (April), pp. 1–14. doi: 10.1002/app5.249.